Join host Alex Stein as he presents the 1925 Serum Run on Mushing Radio. 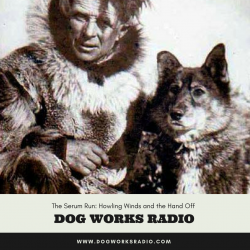 This is part six of the series and we are at the point in the story where the life saving serum is handled off and headed toward Nome. The antitoxin for a diphtheria outbreak in Nome has been on the trail for several days now and it is getting closer to its final destination.